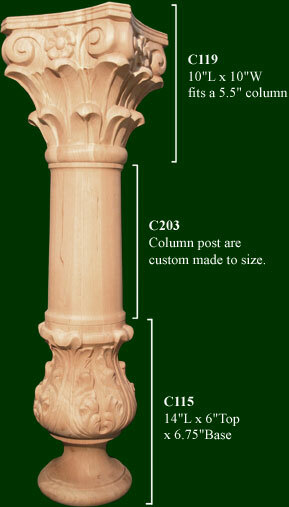 Decorative Columns are one of our specialties. 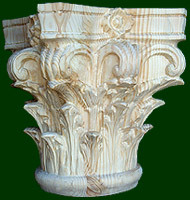 At Michael Shea Woodcarving you have your choice of specifying the size of your column as well as your choice of woods ranging from oak, cherry, maple, ash, walnut, mahogany, pine, and alder. 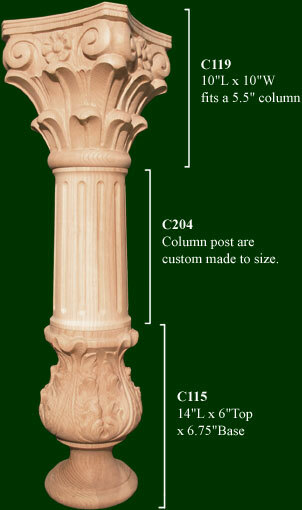 We make our decorative columns custom to your size requirements and needs. 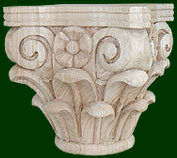 Along with your decorative columns, we will also carve capitals to your custom size and your choice of woods. We stock capitals in in standerd sizes and woods for quick delivery time and for a reasonable price. 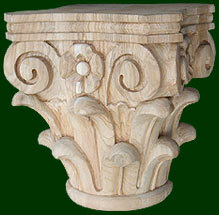 We make our decorative columns, capitals, and keys out of oak, cherry, maple, ash, walnut, mahogany, pine, and alder. If you'd like a different wood, just let us know. 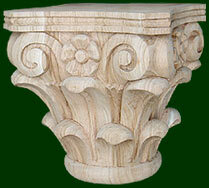 Michael Shea Wood Carving makes a wide range of wood decorative columns, carved capitals and wood carved keys. If you don't see the column, capital or key your looking for just let us know. We are always carving these custom products for many home builders, architects, interior designers, kitchen designers, and home owners. We'll make it just right, to your specifications. Columns can be ordered in the following sizes:18", 30", 40", 60", 80"
Decorative columns, capitals and keys have been used extensively in the structure and decoration of buildings. Decorative columns, capitals and keys were used by the Egyptians and Greeks that refine their use; many of design ideas using columns, capitals, and keys in modern day designs, came from the Greeks. Columns and capitals are usually made for larger architectural projects, but are also sold for kitchens and interior decoration.